The present study was conducted to investigate the protective effects of hesperidin (HSP) against sodium arsenite (SA)-induced nephrotoxicity and hepatotoxicity in rats. Thirty-five male Sprague Dawley rats were divided into five groups as follows: control, HSP, SA, SA + HSP 100, and SA + HSP 200. Rats were orally gavaged with SA (10 mg/kg body weight) and HSP (100 and 200 mg/kg body weight) for 15 days. SA increased oxidative damage by decreasing antioxidant enzyme activities, such as catalase (CAT), superoxide dismutase (SOD), and glutathione peroxidase (GPx), and glutathione (GSH) level and increasing malondialdehyde (MDA) level in the kidney and liver tissues. In addition, it increased serum aspartate aminotransferase (AST) and alanine aminotransferase (ALT) activities and serum urea and creatinine levels. 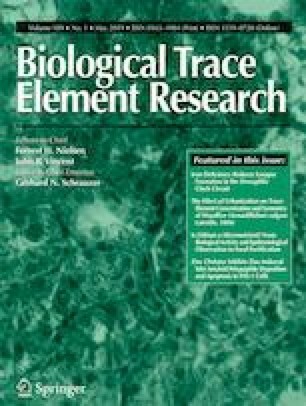 Furthermore, SA caused inflammation, apoptosis, and oxidative DNA damage by increasing tumor necrosis factor-α (TNF-α), nuclear factor kappa B (NF-κB), interleukin-1β (IL-1β), cysteine aspartate-specific protease-3 (caspase-3), and 8-hydroxy-2′-deoxyguanosine (8-OHdG) levels in the kidney and liver tissues and by increasing liver p53 and kidney interleukin-6 (IL-6) expressions. In other words, HSP administration reduced apoptosis, oxidative stress, inflammation, and oxidative DNA damage significantly in SA-induced kidney and liver tissues depending on dose. In this study, it was seen that HSP showed a protective effect against SA-induced kidney and liver toxicity. This research was supported by the Unit of Scientific Research Projects of the University of Ağrı İbrahim Çeçen (Project number ECZF.17.002). The authors declare that there is no any conflict of interest.